Game On – GiveLight | Welcome to our blog! If there is one thing that GiveLight knows and does best, it’s helping orphans while having some fun. I have attended many GiveLight events, but game night wasn’t one of them. Not being a big sports loving person myself, I wasn’t sure how this event was going to be. But before I say, ‘I loved the event and I am so glad I made it’, Let me give you some insight to the whole experience. I received the FB invitation for this event and since it was hosted in my neighborhood I decided to go. Driving up to this place I found myself in front of this beautiful home. 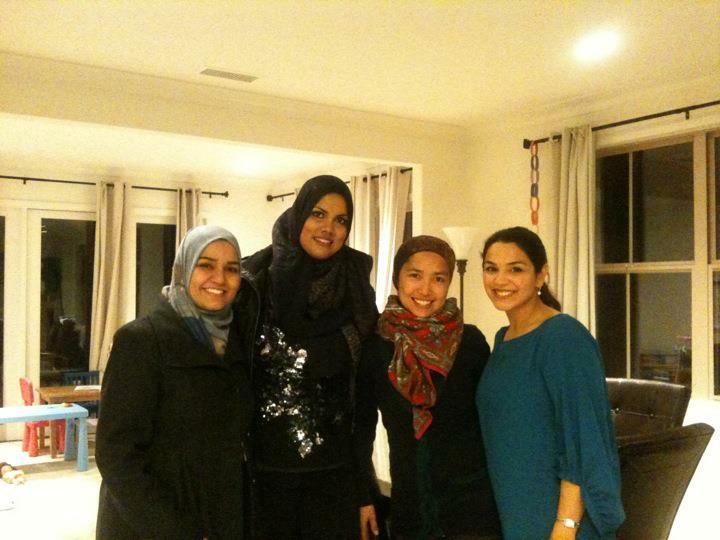 A very gracious host, Zeba Siddiqui, soon welcomed me. Even though I had never met her before, she made me feel comfortable and invited me into her home. Did I say beautiful home? It is mashallah! I usually look for ideas and design inspiration wherever I go. 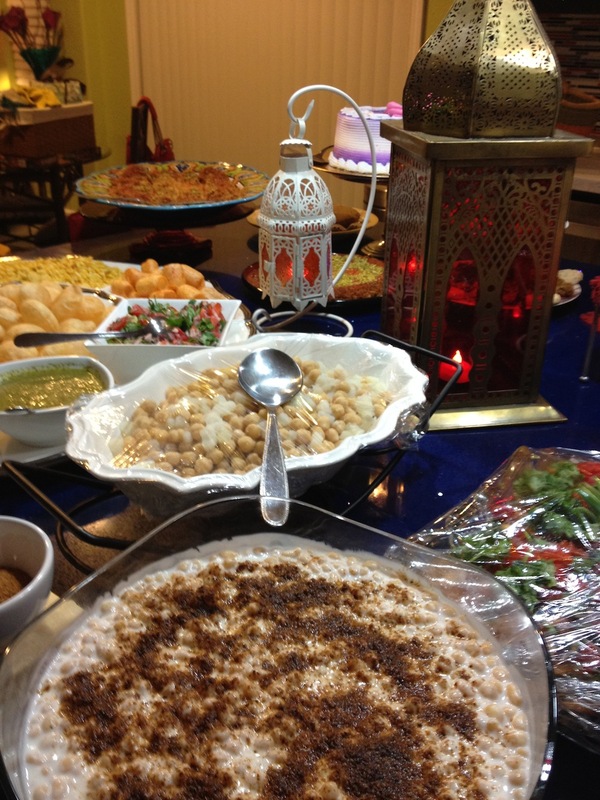 As such, I was immediately drawn to the intricate table setting and the amazing food spread. They had freshly baked bread, chaat, dessert, not to forget the GiveLight cake. The food was delicious and very soon we had our plates full. Drifting in and out of food coma, I heard a sister announcing THE game and explaining its rules. The timely serving of hot Moroccan tea was just what I needed to get back and get ready for the game. It was GAME TIME… but what came next was unexpected. I wish I had prepared for it. We played a fun spoken parlor game, called Antaskshari (http://en.wikipedia.org/wiki/Antakshari), where we were divided into teams. In this game, the first team sings a movie song and the next team has to choose a song that begins with the last consonant the previous song ended with. Even though I used to be a pro at this game about 15 yrs ago, my Hindi song knowledge has diminished since I disconnected from B4U (Indian channel) and moved to Netflix. The game was so much fun, ladies jumping up and singing their song, giving the other team some time to think about their next song. 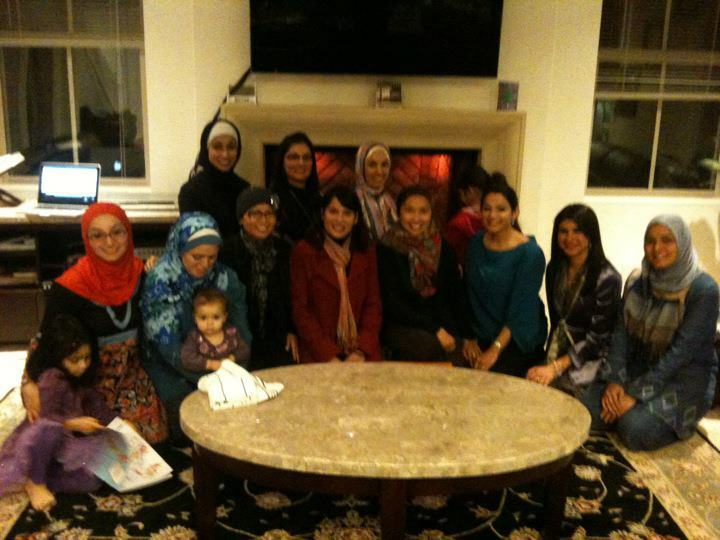 What a fun night… singing away, while we raised much needed funds for our beloved orphans. That’s what I love about GiveLight and all their events: they always involve helping the kids and having fun. 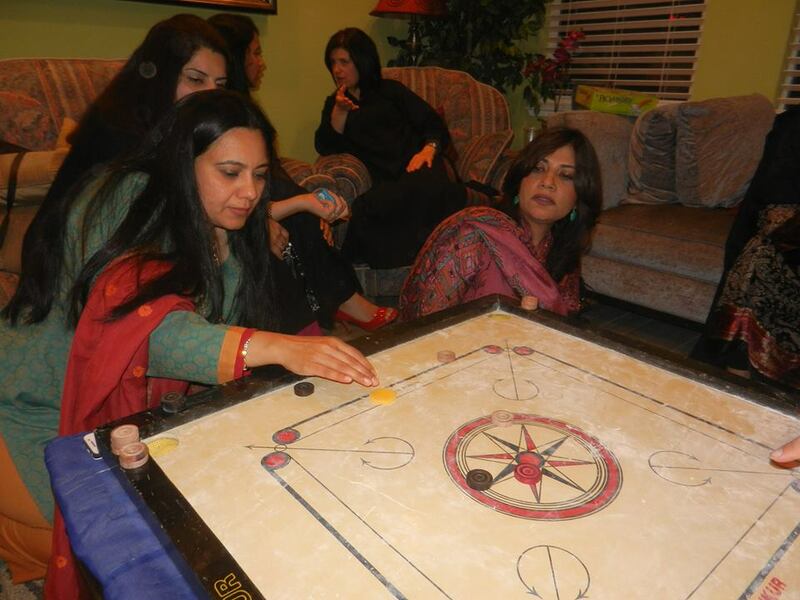 Once we exhausted all our Hindi songs, we moved onto another game, which again I hadn’t played in 15 years: Carrom, (http://en.wikipedia.org/wiki/Carrom) -also called “strike a pocket”. We had some serious pro players in the group and we could see the competitive side of everyone. The teams went head on and played a very good game. It was fun watching, cheering for our teams, cracking jokes, taking pictures and socializing. It was a night to relax, reflect, inspire and have fun. Since we introduced the idea a few years ago, we’ve had different hosts but the results remain consistent: we enjoy playing games with people we care about and we generate funds for our children. 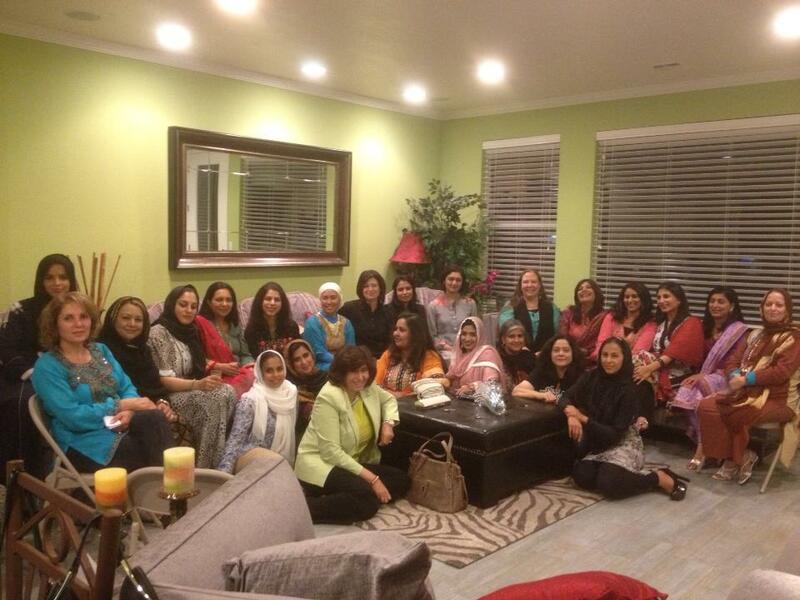 Our generous hosts have included Nasira Shahin, Asia Hersi,Fatimah Abdallah, Sameena Chisty, Sameena Usman, Khadija Mohiuddin Harsolia, Nasira Shahin, Zarin Azizi Isaaq and Microsoft Theatre in Valley Fair Mall. I can’t remember what came first – my friendship with Dian or my GiveLight support – probably the two were simultaneous! In any case, Dian and I always aimed for lunch once a month in order to catch up with each other. At one such lunch, she mentioned that GL was having a fashion show at some restaurant and I should come for the fun and food. I was a GL supporter by then for sure, but I declined the invitation without a second thought, telling her I wasn’t at all interested in a fashion show. “What are you interested in then?” she asked. “I love board games! We should have a game night just like there’s a fashion night!” I replied. If you know Dian, you will know that she doesn’t miss an opportunity when she sees it. Seizing the moment, she challenged me to organize a game night where ladies could just get together, have some snacks, play games and donate something to GL. And so it began. We had the first game night at Dian’s place actually. All it took was for us to create a Facebook event with a catchy description, invite people to come play for a cause and enjoy delicious desserts! We had about 15 ladies show up, if I remember correctly. From Scrabble to Taboo, we had several board games and the ladies all had a great time and we ended up with a modest collection for GL. Alhamdulilah, we haven’t looked back since. 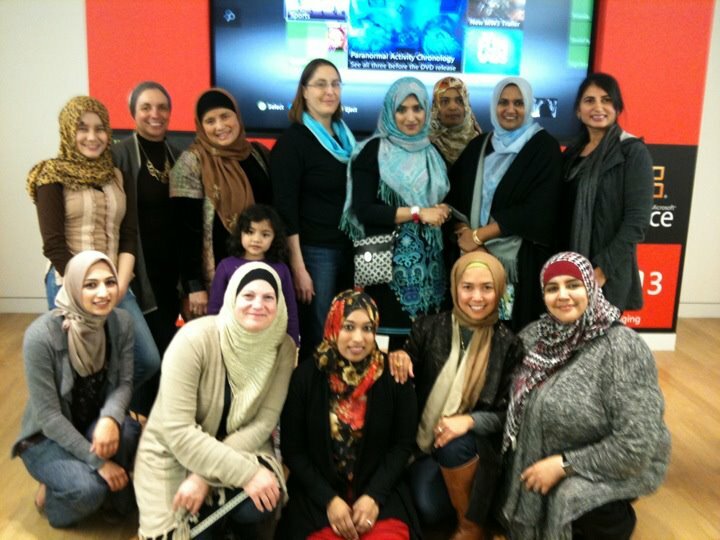 Several game nights have been held at various sisters’ places, and GL even started hosting them at the Microsoft Store at Valley Fair! Even though I am not directly involved anymore, the GL Game Nights are so easy to organize that anyone can host them. The bottom line is that “girls just wanna have fun” and who doesn’t like to play games? Combine that with sponsoring orphans, you just can’t go wrong! Here is what Zeba Siddiqui had to say about GiveLight and her inspiration behind hosting this event. I had seen a teary eyed, and heard emotional Sr. Dian at my children’s Sunday school when the deadly Tsunami had taken so many precious lives leaving behind vulnerable little children. We were all touched by her initiative to open an orphanage in Achi and “GiveLight” where most needed. My personal interactions with Givelight started a few years after that when Sr. Dian asked me if I can host a ladies game night at my place. Motivated by its founder who knows how to keep supporters engaged in a fun way, I hosted the event, where participants each contributed $20 or more for GL. We just placed a pretty vase on the dessert table and without any pressure, alhamdolillah it started filling up. That was the moment, I realized, alhamdolillah how blessed we are as a generous community. 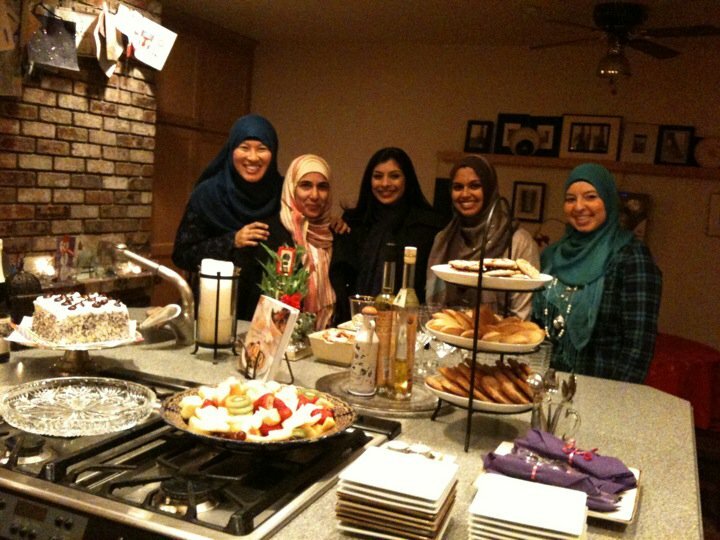 Sisters who had only known each other by face at Masjids, or other social events, became good friends, all in a relaxed and friendly environment within a couple of hours. Seeing them taking a well deserved break from daily routines in a fun and productive way, made me realize how thoughtful this event turned out to be! I couldn’t wait to offer my new home to host the ladies game night again when I moved. Gaining new friends and generating funds, alhamdolillah by Allah SWT’s blessings we ended up with $1600 in a short time, again without any pressure on anyone. All sisters maasha Allah, so willingly looking to contribute. GiveLight is uniting our community by keeping us all engaged in fun gatherings/fund raising events, bringing us closer for a good cause, all without any pressure. Everyone really looks forward to next creative gig/get together and like to be part of Giving Light, which is the kind of light that could bring us closer to our beloved Prophet Mohammad (peace and Allah’s blessings be upon him), as he was an orphan himself and he guaranteed a place closer to him in Jannat ul Firdos for someone who feeds/looks after an orphan. Giving light to one tiny little life, truly illuminates the entire valley, just like nurturing a seedling, providing the right environment, you get rewarded with a large tree for generations to enjoy the fruit, and seek shelter when needed, all with just a little bit of patience, care, and love♥! Throughout our lives we look for an opportunity that brings meaning to our lives. We have that opportunity come our way from time to time in the form of good deeds. We should just grab this opportunity when it comes our way. Support GiveLight and help the orphans. Inspiration. Fun. GiveLight. GAME ON! This entry was posted in GiveLight Events. Bookmark the permalink. It’s a fabulous job you guys are doing!